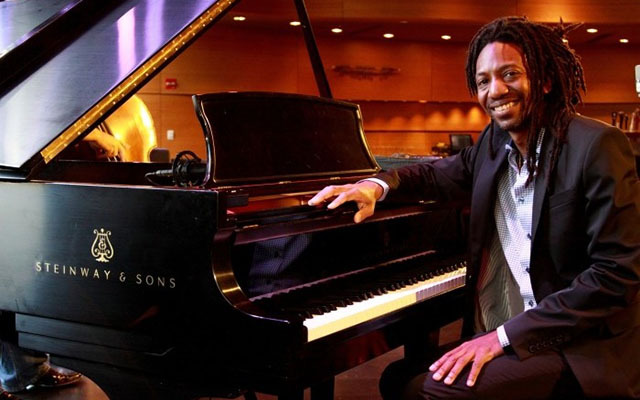 Pianist, composer, arranger Elio Villafranca and the Jass Syncopator’s presented Cinqué – The Suite of the Caribbean at Jazz at Lincoln Center’s Appel Room before a warm and receptive audience. Consistent with Yoruba wisdom, Villafranca’s powerful sonic-art honored the ancestors and the branches and roots of our collective ancestral tree. Part 1: Cinqué / The Capture / Troubled Waters. Part II: Maluagda / La Burla de Los Congos / Madre Agua (Yaya Baluande). Part III: Indigo / Mesi Bondye. Part IV: The Night at Bois Caiman / Burn Down the Fields. The movements represented a diverse range of colors, textures, rhythms, melodic call and response and solos accented by traditional dance. 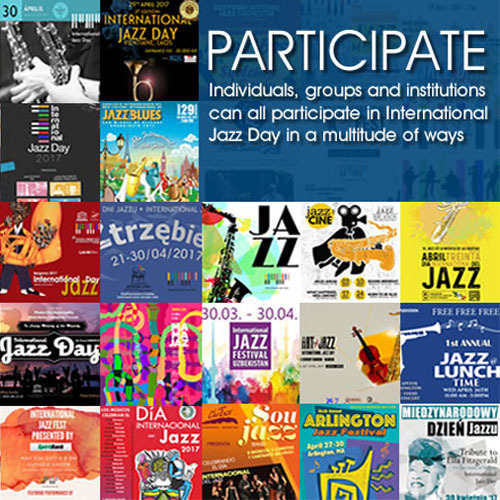 Highlights included Jon Faddis’ riveting brass acumen; consistent, tasteful exchanges between the pianist and his team of polished musicians; trombonist/conch/shell player Steve Turre’s unparalleled swing and crowd pleasing harmonics; the tasteful inclusion of traditional Puerto Rican rhythms (Bomba Xica), the integration of recorded Kongo chants, a sweet rendition of the tune, “Mesi Bondye” by banjo player, Leyla McCalla and the closing comparsa (Cuban Carnival swing with classic chorus) as dancer Liethis Y Hechavarria tap danced with wood block sandals playing 2-3 beat of the clave. Prior to the concert, Ben Young of Swing University conducted an interesting and informative pre-concert discussion and touched on Elio Villafranca’s geo-historic background in context to the Caribbean Basin of island nations. It is here that a brief description of the banjo used in Leyla McCalla’s work would have been helpful. To conclude, Elio Villafranca and the Jass Syncopators are lined up for “Nsambi Mpugu’s” (God Almighty’s) blessings as he builds upon the high standard that he has set for himself. We respectfully watch his growth. Bacheche! (excellent in Kongo). Personnel: Elio Villafranca: Musical Director, piano and Guataca; Jon Faddis: trumpet; Leyla McCalla: cello, banjo, vocal; Vincent Herring: alto sax, flute, clarinet; Steve Turre: trombone and multiple conch shells; Greg Tardy: tenor sax, clarinet; Michele Wright: clarinet; Gregg August: bass and assorted percussion; Jonathan “JBlak”Troncoso: percussion: Liethis Y Hechavarria: dancer. I am an Ifa Priest — an “Awo Ifa Ol’Obatala”……. Spiritual Counselor / Mentor and Educator…… When addressed and respectfully referred to as “Babalawo” (Father of Esoteric Knowledge), I humbly and graciously accept the title.